When advertising with Google the most important aspect of ad placement is the click through rate that the ads achieve. The purpose of setting up ads is to obviously drive traffic over to your website. In order to get the most beneficial visitors to your website it is important to understand the people you would like to inspire to visit your website. This is known as understanding your target audience. Connecting through the words you use with your target audience inspires trust that someone out the there knows what they are looking for. Be that person and show excitement and passion with the words you use. Negative words are proving to be successful at driving traffic. Such as scam, Don't buy this or that before reading this. BoRING. Don't join the competition. Beat It! How powerful do think the word is YES! not very you may think. Try incorporating that into your PPC ads and see it stand straight out from the competition. Take what is working and dress it up to be more exciting. So a don't buy toned ad might be up for several weeks. You know this is making someone money or it wouldn't be there. Run it and change the tone. Yes! Finally found the secret ingredient. Wanna know my results. then the URL. How do you think you'd get on. Try it out. Never run anything without monitoring something else similar. Find ads on the front page that are showing up under the keyword terms you plan to advertise under. Monitor the competition and see if they are generating profits. How, you ask. Take notes of the ad and check over a few weeks. You'll save a fortune. Let others lose the money in testing stages and take what works, then build on it. A really useful aspect to have this research done as it will allow you drive highly targeted visits to your website which is extremely useful for the monetization of your website. There are two different types of research that can be performed to achieve this. Keyword research allows target keywords to be advertised under to get a good ad placement with high visibility. This research is best done alongside market research. By doing market research it allows advertisers to understand the target audience they are trying to drive over to their website. Often during market research advertisers come across different marketing angles. This can sometimes be abbreviations that people are using within open forums when such as Yahoo answers. They are then able to browse through the different categories and see the language people are using when chatting online about the niche area that an advertiser is involved in. By properly performing market research not only does it provide benefits of understanding the target market an advertiser wishes to target their ads towards but can often find high search keywords that other advertisers aren't aware of and this will give an edge to an advertising campaign. The more relevant an ad group is to a target audience the more the user is going to be attracted to the ad as the marketer will have a good understanding of what the user is searching for and will be able to show that within the ad that is sowing in the search result. It is referred to in marketing as the connection. By combining keyword research and market research together and then taking action on the results that have been obtained the advertiser can then put ads together that connect with the user and shows through the ad by making it more compelling provided it shows exactly what the user will understand. The end result by having that connection in place helps optimize the ad and therefore ads can achieve a higher click through rate and when further enhanced on the desired website often helps with monetization as the user has exactly what it is they have been searching for. This is when things start getting exciting as each user has the potential to broaden the websites visibility by sharing the website address with others within online communities as a resource for others to get information. 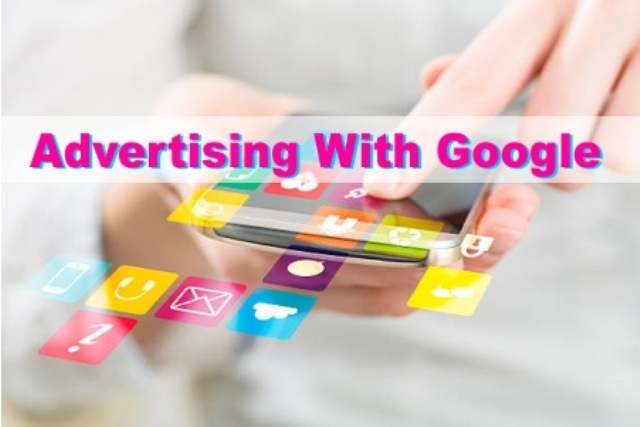 All in all advertising with Google can give fast results to drive traffic over to the advertisers offer and can be scaled up once results are being achieved. It is a great way to launch a website and after achieving high CTRs from ad groups. The visibility has been increased and more often than not the advertising costs can be reduced over time as after a website starts to generate traffic the search engines seem to take notice and that increases visibility even more and allows the site to achieve free traffic. The important thing is to start getting the traffic over to your website to start the process. 1 Response to "Advertising With Google - Start the Google Invasion And Elevate Your CTR To Superior Heights"